We generally keep a good inventory of Kromski spinning accessories, but due to the many finish options, we may not always have the exact option you need. However, items may drop shipped or we can order what you need. We generally receive orders 2 or 3 business days after placing the order. Be sure to watch our video on Jumbo and Faster Flyers. The Faster Flyer extends the high end ratios of your wheel. These high-end speeds, coupled with the joy of spinning on a Sonata or Prelude, give you the feeling of a production wheel. With your regular flyer, you have all the speed settings you need. Use the regular bobbins with the Faster Flyer. Faster Flyer on the Sonata -ratios of 12, 16 and 18 to 1. Faster Flyer on the Prelude -ratios of 11, 14.5 and 16.5 to 1. Faster Flyer on the Interlude -ratios of 13.3, 17.5 and 20 to 1. Includes flier, one jumbo bobbin and front maiden. Instructions for using Jumbo Flyer (Sonata and Prelude) and tensioning elastic drive band. Jumbo Kit on the Sonata – ratios of 5, 7.5, and 10 to 1. Jumbo Kit on the Prelude – ratios of 5.5, 7, and 9 to 1. Jumbo Kit on the Interlude -ratios of 5.5, 8.3, and 11 to 1. Jumbo Flyer â€“ extend the capabilities of your Kromski Polonaise, Symphony or Minstrel wheel by adding a Jumbo Flyer Kit. You can quickly swap out your regular flyer for the jumbo unit (and back again). 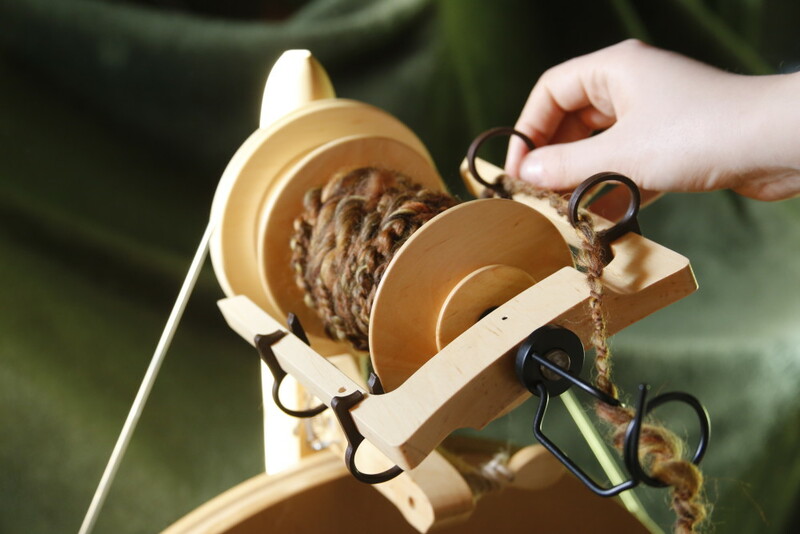 Here are the benefits: flyer with very large orifice .70 inch opening for heavy spinning and plying; much larger jumbo bobbin â€“ holds 50 cubic inches of yarn; lower ratio ranges â€“ 2 speeds â€“ to give you excellent speed choices without changing flyer. Parts may look different than image shown depending on your wheel model. NOTE: if you already own a Minstrel and want to add a Jumbo Kit, you must determine the manner in which your front maiden post has been installed on your wheel. If you do not have the current set-up; a brass finger nut going up through the base into the maiden, your will need to do some simple woodworking to facilitate the jumbo option. The Jumbo Flyer does a lot for you. It adds nearly 2 times the space for yarn over the already great size regular bobbin, so if you are plying or just spinning singles, you can put a lot on a Jumbo bobbin. The orifice on the Jumbo Flyer is .7 inches; spin thick yarn or do heavy plys. And the ratios are great for low or medium speeds. 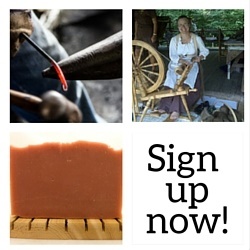 For some, this will be the flyer for general purpose spinning. For extra bobbins, see below. If you are looking for a solution to be able to spin and ply thicker yarns on your Fantasia or for a larger bobbin capacity, the Fantasia Jumbo Flyer Kit is the answer for you! Don’t you love the names of spinning tools? A niddy noddy is a tool used to wrap your yarn around as you take it off of the bobbin. It also measures the length of the yarn so that you know how many yards have. 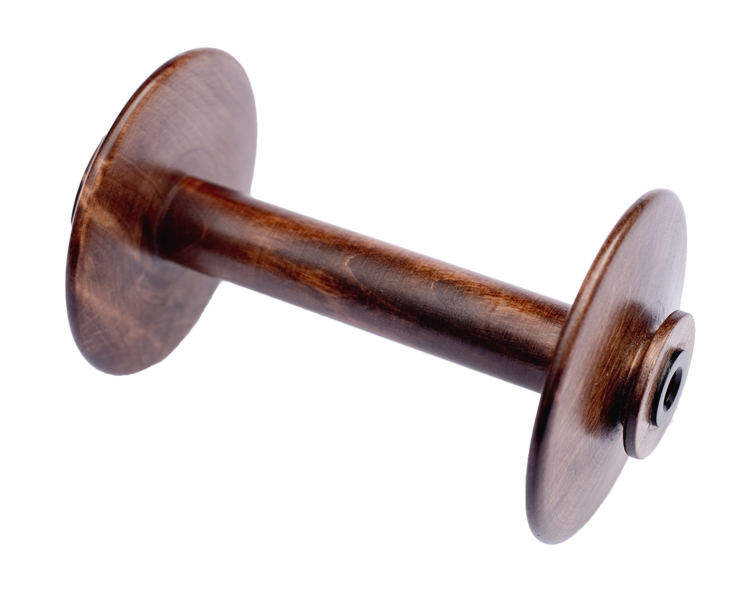 Kromski Niddy Noddies come in three sizes, 30″, 48″ and 72″. 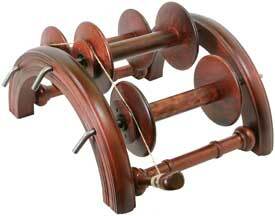 All three sizes come in the three finishes: clear, walnut and mahogany. the large 72″ Niddy Noddy also come unfinished. Watch this video of how to use a Niddy Noddy. Kromski Makes Two Styles of Lazy Ka tes; Arched and Upright. Arched are Standard on Symphony Wheels. Upright Standard on the Polonaise. 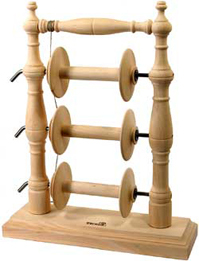 Each Lazy Kate holds up to three bobbins. The bobbin rods are made of heavy metal. These tensioned Kates will accommodate most brands of bobbins including Ashford (standard bobbins), Jensen, Reeves, Timbert ops, Majacraft and Lendrum (regular and very fast bobbins). They are available unfinished or finished in mahogany, walnut or clear.